In this issue I have included snippets from the newsletter from the Alberta Craft Council. I have not gone to the trouble of reforming all the links. Sorry but I am leaving for Europe shortly and am simply doing what I can before I leave. (happy face).Please use your favourite search engine to find out more details of any items highlighted, or go their website (link given below). I want to draw your attention to how valuable it is to be a member of the Craft Council, hear about the events in our area, calls for exhibitions and grants, sales. Also notifications of workshops, books and reports to do with our sphere of interest. In future I might put in a reminder to go to the website but I will not repeat their entries here. The Alberta Craft Council is publicizing its new website please go here. 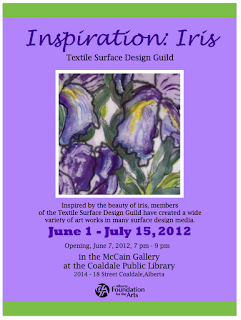 The TSDG = Textile Surface Design Guild has the exhibition Inspiration : Iris at the McCain Gallery at the Coaldale Public Library. uncommon threads is a sampling of local artist matt gould's work over the past 15 years. From the small, intimate, early framed hand-embroidered pieces to larger installations, including current explorations in form and natural hand-dyed works. Works: Sun, Tues, Thurs, Sat: 12-4. Mon, Wed. June 29: 4-8 Jn 22: 2-6. Obsession surveys the work of five separate artists, exploring how each is uniquely "obsessed" with their themes, subject matter, and media. Together they demonstrate diligence and commitment to artistic practice. 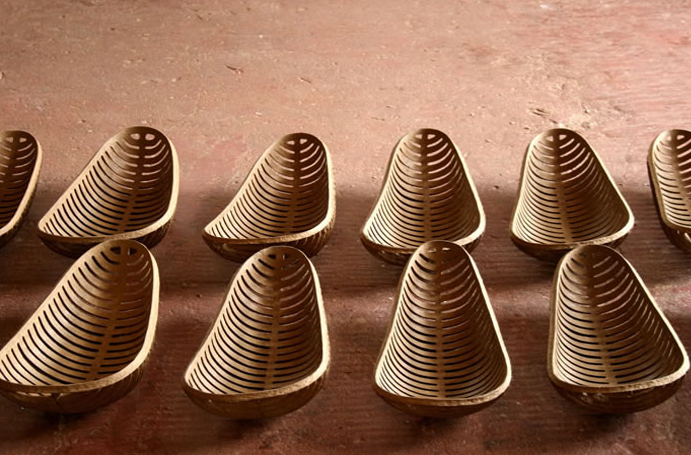 This exhibit shows an evolution of Rodrigues`studio work, with pieces ranging from 2003 - 2012. Blown and Cast Glass sculptures trace the transformation of a practice, with the mark of each work evident in those that come after. This exhibit is in connection with Obsession at Site #2, City Hall. of the rushing water. Glass is an intuitive fit for the portrayal of the vast Alberta landscape." This exhibit is in connection with Obsession at Site #2, City Hall. Susan's sculptures demonstrate a long process of glaze and surface experimentation in sculpture. The bird figures in Surfacing make an environmental statement about manmade pollution and how animals might adapt. This exhibit is in connection with Obsession at Site #2, City Hall. A dual exhibit of works by two fine craft artists. Nuckles reinterprets iconic buildings from Edmonton's skyline in fibre, and O'Connor presents a catalyst for a humorous and positive discourse on fear with mixed media illustrations of her own anxieties. This exhibit is in connection with Obsession at Site #2, City Hall. The Alberta Craft Council and the chapters of the Canadian Bookbinders and Book Arts Guild present a wide variety of forms, objects, approaches, techniques and concepts found in both the paper and book arts. the first five years of their career. In this latest interdisciplinary exhibition at the Textile Museum of Canada, landmark artifacts from the Museum's Canadian collections are integrated with the work of ten contemporary Canadian artists, creating a dialogue of personal and cultural expressions across time and space. Celebrating the imagination of landscape and the human presence in and around it, Dreamland introduces a seamless play of storytelling, whimsy, utility and materiality, speaking to a continuity of patterns and practices that locate the past in the present - and the present in the past. Titled for the first book of poetry published in Canada in 1868 by Charles Mair, Dreamland is a lyrical collection of cultural and individual expressions of the deeply embedded presence of creativity in the Canadian landscape and the role of utopia, ingenuity and human affection in day-to-day lives. And of course organisms. Her works are on show at the Esker Foundation in August. And even if you can't get to Stroud, UK. this website is a feast if I haven't recommended it here before. a very experimental approach to combining fabrics... and ideas.... will allow you to pursue your own unique areas of interest. many fabrics, or even a length of organza to make into clothing. Lyn Pflueger was born and raised in Sydney, Australia. She received a science degree from Sydney University, and worked for a number of years as a biochemist. After moving to Calgary with her husband and children, Lyn settled in Bragg Creek where she raised children and animals, and learned to weave spin and felt. In 1995 Lyn graduated from the Alberta College of Art and Design with a BFA, taught in the Fibre department as a part-time sessional instructor. Through Extension Services at ACAD she continues to teach textile techniques, and she has taught at Series in Red Deer, and Fibre Week in Olds. Lyn’s particular interests include feltmaking, the structure of surfaces, and the properties of textile materials. Most recently shibori techniques for dyeing and for creating texture have become her passion. NEW CALL FOR SUBMISSION - Calyx is Coming! Calyx Distinctive Arts, founded by a group of professional artists with a collective vision and mutually supportive artistic goals, host art exhibition and sales twice annually in both Calgary and Edmonton, AB. This fall will be our 24th show in Calgary, and our 5th show in Edmonton, AB. The three directors of Calyx exhibit and sell their own work and welcome other qualified artists to participate in these events. If you are an artist with aspirations to sell your work in a high quality, juried event with like-mined peers, please visit our website at www.calyx.ca for application and submission information. Our application deadline for both fall shows is September 9, 2012. We have secured great exhibition spaces in central and convenient locations in both cities, have developed an enviable mailing list, and offer extremely competitive participation fees. Please feel free to contact us at 403-244-8150, 780-244-0977 orcalyx@shaw.ca for more information. We hope that you will join us. EPCOR CENTRE for the Performing Arts is announcing a call for submissions of visual art from Calgary emerging artists. EPCOR CENTRE for the Performing Arts will select one local emerging visual artist to create new work in the Ledge Gallery throughout the months of June and July, 2013. The artwork will then be exhibited for the month of August, 2013. An artist CARFAC exhibition fee as well as a total of $2000.00 in financial support to assist with material costs and subsistence will be provided. Harcourt is looking for a couple more art instructors for this fall! Please email harcourtexhibits@shaw.ca if interested. We currently have two youth classes (sculpture and mixed media) and one Adult beginner to intermediate drawing class. We are open to lots of ideas and suggestions. If any instructors would be interested in including an art history or artist lecture component thats different from what we have run in the past. This 6th juried traveling exhibition of book and paper arts marks the 30th Anniversary of the Canadian Bookbinders and Book Artists Guild. The exhibition will open July 12, 2013, at the Museum of Contemporary Art in downtown Calgary, Alberta. In celebration of CBBAG's 30th Anniversary, the CBBAG Calgary Chapter will also be hosting a conference in conjunction with the exhibition. * Developing multi-media materials and alternative delivery strategies, and incorporating appropriate educational technologies into the learning process. For access to more information about this position and instructions on how to apply, click here. An exhibition of contemporary fiber art will be presented by the Fiberarts Guild Of Pittsburgh, Inc at both the Pittsburgh Center for the Arts and the Society For Contemporary Craft. The Confederation Centre Art Gallery (CCAG) is seeking preliminary proposal submissions from Canadian artists for a landmark permanent outdoor artwork to be installed on the plaza of the Confederation Centre of the Arts in Charlottetown, P.E.I. The work, to be completed and unveiled by July 2014, will commemorate the Confederation Centre's 50th anniversary. The work should respond to the Centre's mandate to celebrate the evolution of the country and to inspire through the visual arts, an appreciation, understanding, and enjoyment of Canada's diverse cultural heritage through an enhancement of the Centre's public space. The selected work would update and complement existing outdoor sculptures and architecture. This is a major, national-level commission, with projects able to draw upon a commission budget of up to $200,000 for artist fees, fabrication, engineering consultation, shipping, and installation expenses. Preliminary proposal submissions are due July 15, 2012. Selection will be determined through a two-tier process. An advisory council with national representation will select a shortlist of approximately five proposals in August 2012. Shortlisted artists will be asked to provide further elaboration of proposals, as well as models, by October 2012. Shortlisted proposals will be exhibited in December 2012. Public input, final selection and budget approval will follow early in 2013. Judges will look for originality, creativity and workmanship in this extensive quilt exhibition with a wide variety of categories for entry. Work must have been completed after January 1, 2010. Prizes range from $150 to $1500 USD. Claire Uhlick's line of woven jewellery is a fantastic addition to the Alberta Craft Council. Whether she is using parchment, brown craft paper or vintage maps, her creations are simple and elegant. I personally picked up a Montreal city map cuff for a gift. Catching glimpses of the interwoven street names acts as a perfect memory to our time together in Montreal. As we continue our 5th anniversary celebrations, we are in the last week of “Indaba” exhibition by James Powell, Kerrie Anne Riles, Barbara Johnston, Lois Roberts - to date, 375 visitors have enjoyed their art. Join the artists for refreshments and enjoy the opportunity to discuss their art. Learn the traditional art of basket making with pine needles and waxed linen thread with basketmaker and storyteller, Hattie Olsen. The theory of the Painting in One Day workshop is to simplify the processes for novices to learn the fundamentals and for the advanced students to learn to develop freedom in their style. We will explore the concepts of constructing still life in a workshop that has been especially formulated for FibreWorks Gallery to consider these methods and concepts with other media. The Painting in One Day workshop takes the artist through the steps of developing the underpainting, the mid-painting and the finished painting in relatively quick succession. Not only will the student understand the fundamental development and basic principles of the structure of painting, but also the basics of colour theory, composition, articulation of subject, value systems, editing chaos and depth/perspective concepts. A 4-day workshop with Catherine Nicholls – using the natural world as our source of inspiration, we will experiment on fabric to recreate and interpret nature’s wide range of textures and colours. For the first 2 days we will explore the use of ink, paint, crayon and discharge in a variety of techniques creating samples and generating ideas. Students will then be guided through the process of developing their own original composition, pattern and fibre art masterpiece. A 2-day workshop covering a range of wet-feltmaking techniques. The emphasis will be on good practice and developing an understanding of the behaviour and properties of different wools and fibres during the magical process of feltmaking. We will start by working on samples, moving on to create a personal project in flat felt. This workshop is suitable for beginners, or those with some experience. Feltmaking is a unique and fascinating textile technique and each student will be encouraged to find and work at her own pace. Above all, feltmaking is fun!! Nuno felt is a fine lightweight felt created by fusing a thin layer of wool onto a base of loosely woven fine fabric such as silk chiffon, thus producing a strong, drapable fabric, suitable for garments and accessories. This 3-day workshop will introduce you to this fascinating technique and allow you to develop a sound understanding of the process. After working through several samples, you move on to your personal project(s), which could be a simple sleeveless garment (tunic or vest), or 2 simpler items such as a scarf, wrap, shrug or cowl. Instruction and advice will also be given on garment design/pattern construction, finishing and aftercare. This class is for the more advanced student, so only suitable for those with prior feltmaking experience, or students that have completed the "Fundamental Felt" workshop on June 29/30. Day 1 You will begin by working through various samples to learn and develop an understanding of the Nuno technique. You will then move on to make your own pattern for a sleeveless garment or other nuno project. Day 2 &3 will be spent creating your garment. It’s time to find those images you have tucked away – you know the ones! The beautiful images of an inspiring subject and you have always wanted to do “something” with them – well, now’s the time! This 4-day workshop will show you how to develop your own designs from images or sources of information. Each day will begin with creativity exercises to get those ideas flowing! Weaver’s Circle with Mary Bentley continues every Wednesday, 9:30 a.m. to 4:30 p.m. – drop in fee – a great opportunity to weave at your own pace and learn from a master weaver. Notice to all weavers – the studio is full of wonderful 2/20 mercerized cottons; rayon chenilles and rayon slubs from the studio of Lucy Slykerman – a great way to build your stash! Spin-In – last Thursday of every month – Sunshine Coast Spinners & Weavers Guild gather in the studio to spin and share information – open to the public and non-Guild members are welcome. 10:00 a.m. to 3:00 p.m.
Yvonne is concentrating on handspun yarns for knitting and weaving, so her stash of commercial yarns is slowly making its way to the sale table and the freebee basket – there is something for everyone! 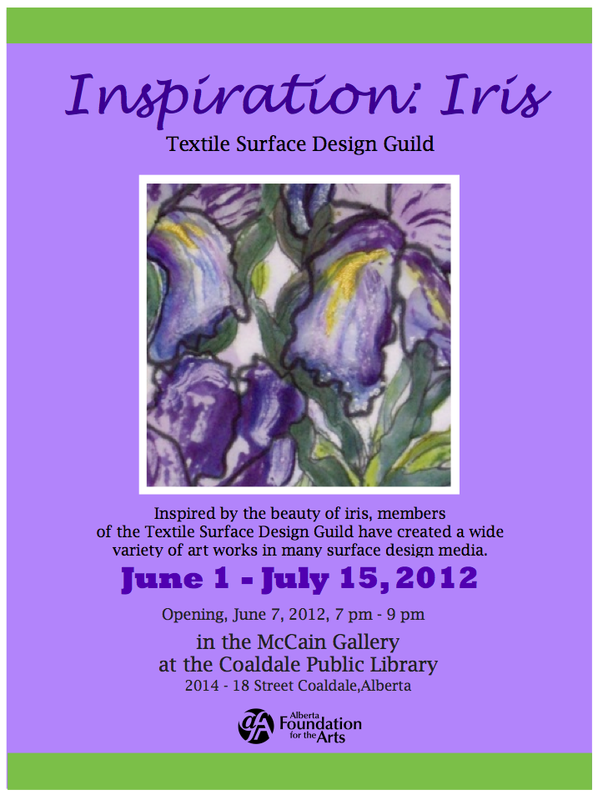 For more information, please contact Yvonne Stowell (see below) and “like” us on facebook (fibreworksstudioandgallery). See you at the yurts!